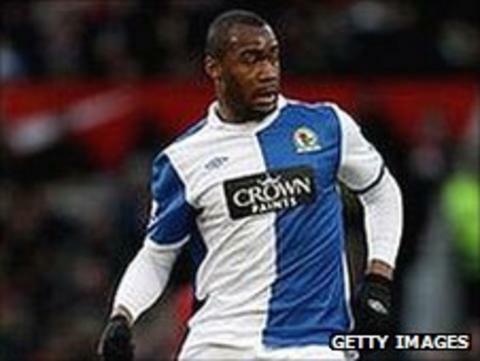 Doncaster Rovers have made Blackburn midfielder Herold Goulon their latest Premier League loan signing. The 23-year-old Frenchman, who began his career at Lyon before joining Middlesbrough as a teenager, has signed until the end of January. "Herold is a good player who has played at the top level and I'm glad to have him on board," said Doncaster manager Dean Saunders. Goulon joins Aston Villa's Habib Beye on loan at the Keepmoat Stadium. Earlier this season Saunders also signed former Liverpool and Blackburn forward El Hadji Diouf and former Spurs and QPR defender Pascal Chimbonda, both of whom were free agents, on short-term deals. Rovers are bottom of the Championship, with 12 points from 17 games. And agent Willie McKay, who has an advisory role at the club, has confirmed they are in negotiations to sign West Brom striker Marc Antoine Fortune and former Sunderland midfielder Boudewijn Zenden.